So how do we start with “shaking the house” aka the direct Farsi translation for spring cleaning? The day before spring cleaning make sure you organize and de-clutter your space. Get rid of all the clutter that you have been piling up all during the winter season. What this does is make you focus on actual cleaning versus organizing on spring cleaning day. You can use the KonMarie way or your custom way to organize things beforehand. 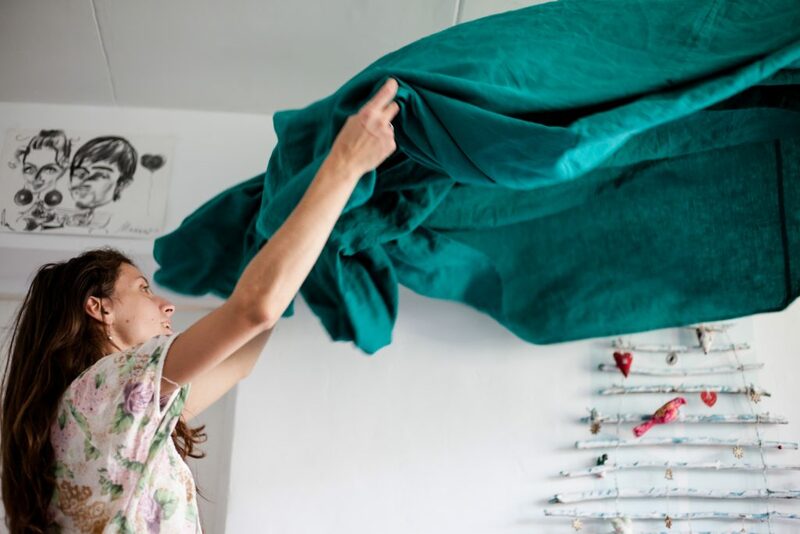 On the actual day of the spring cleaning, start of by putting yourself in a positive mindset and be prepared to tackle this job to air out, cleanse and refresh your home. Start by waking up, opening the windows and putting on some awesome music. Personally, Motown always gets us going. Eat a good breakfast, then tie your hair back or even wrap it in a scarf and wear your secondhand athleisure wear. Make sure that you have all your cleaning supplies and equipment ready beforehand tso that you don’t have to run around looking for any missing items. + Placing cleaning solutions in toilets, sinks and tubs. If you have a basket that you can carry with you, place the solutions in the basket. + Empty out large and small appliances like fridge, oven, microwave and clean inside, on the sides and top of the surfaces. Clean the walls and surfaces around the oven and fridge. If you’re comfortable, clean underneath the large appliances as well. + Remove items in cupboards and clean inside. If you wish, replace the lining. Make sure to clean the outside of the cupboards and the sides. + Wall cleaning: Some people actually clean their entire walls. We are not completely on board with this as often stains on baseboards and walls are too deeply set and attempting to wash the walls will only wipe off paint. We recommend wall spot cleaning which targets light marks like scuffs, etc. Anything more intensive than that would require repainting the entire wall. + Remove curtains from windows and either wash them in your laundry or send them to the cleaners. We usually recommend the latter. So much dust, smells, spores and overall mustiness collects in carpets and rugs over the winter so it is crucial to clean your curtains. If you don’t have curtains then spend time wiping down your blinds. + Window washing: Depending on the type of windows you have this can take a longer time than you expect as some homes and condos have floor to ceiling windows. In addition to cleaning the glass panes, make sure to also clean the window sills, window frames and window tracks! + Steam carpet cleaning: If want to be really thorough with your spring cleaning you might want to consider steam carpet cleaning your carpet, rugs and even upholstery on sofas, etc. Best option is to hire a professional steam carpet cleaning instead of doing it yourself. Hire a professional cleaning service to get your home fresh and clean from the mustiness of winter while saving your energy and more importantly, your time.